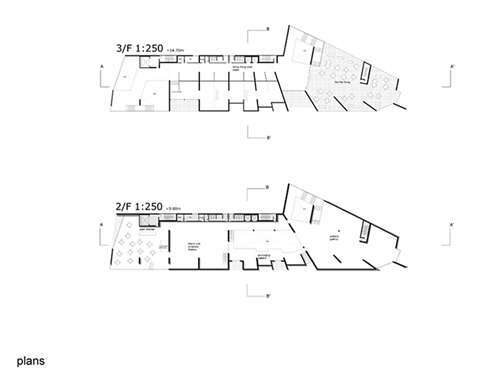 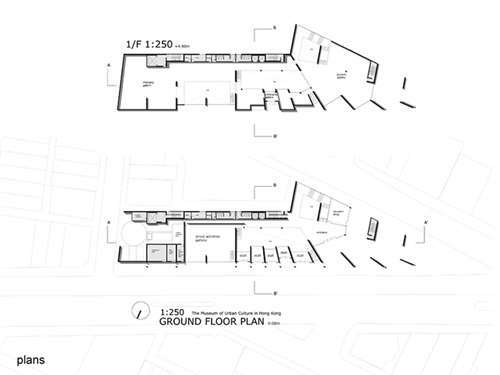 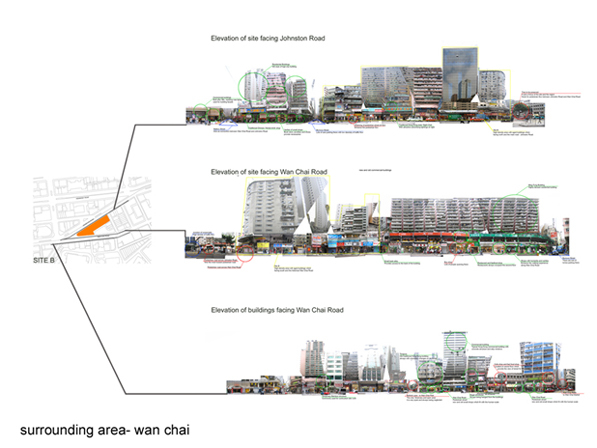 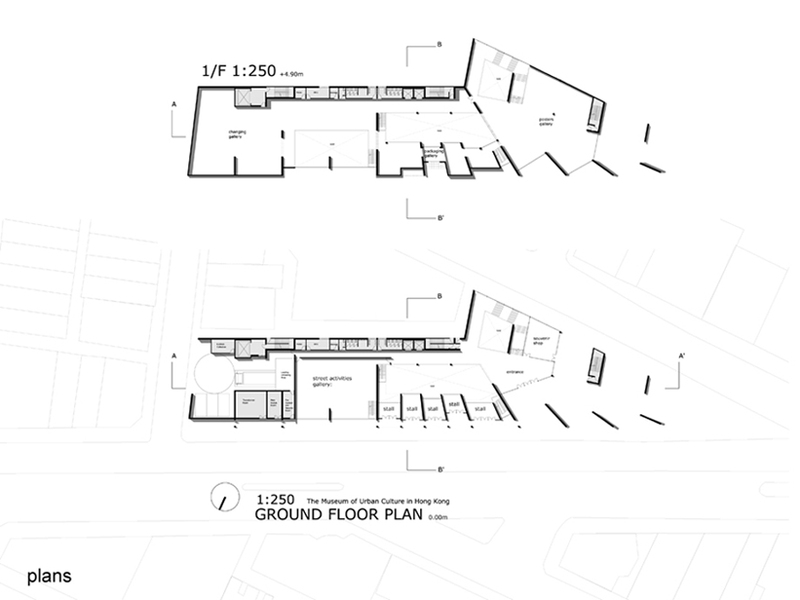 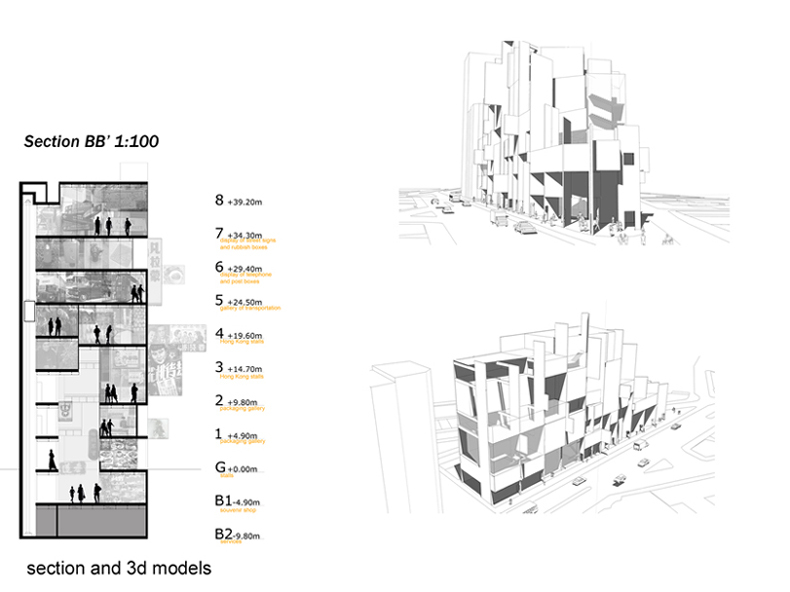 The proposed Culture Museum is situated in a bustling intersection between two main roads in Wan Chai District, a region of intermingling old and new buildings. 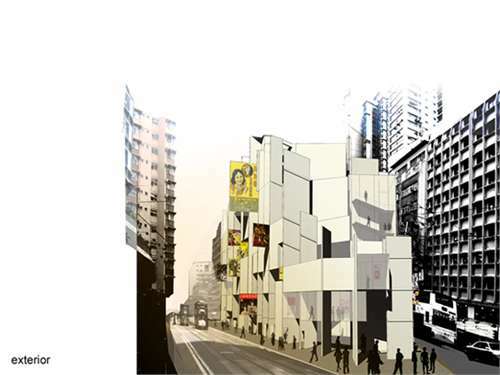 Though visitors would understand the culture of Hong Kong more by walking on streets and communicating with locals, the Culture Museum serves as a window to the culture of Hong Kong by presenting the past in retrospect and putting the present in its proper context. 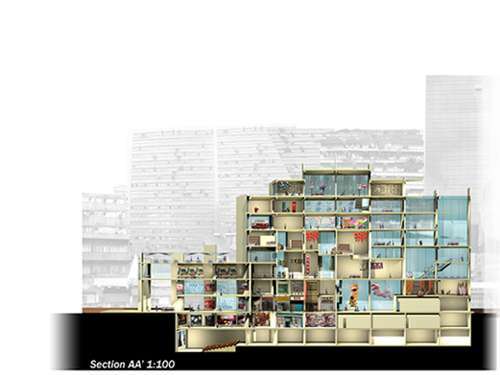 Hong Kong is densely populated and lacks space. Various activities from commercial to residential can be observed in the same area. 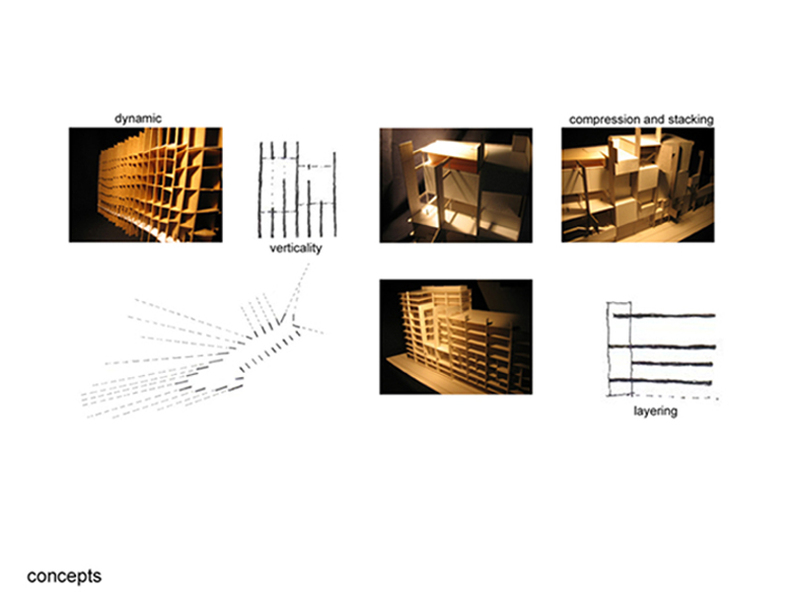 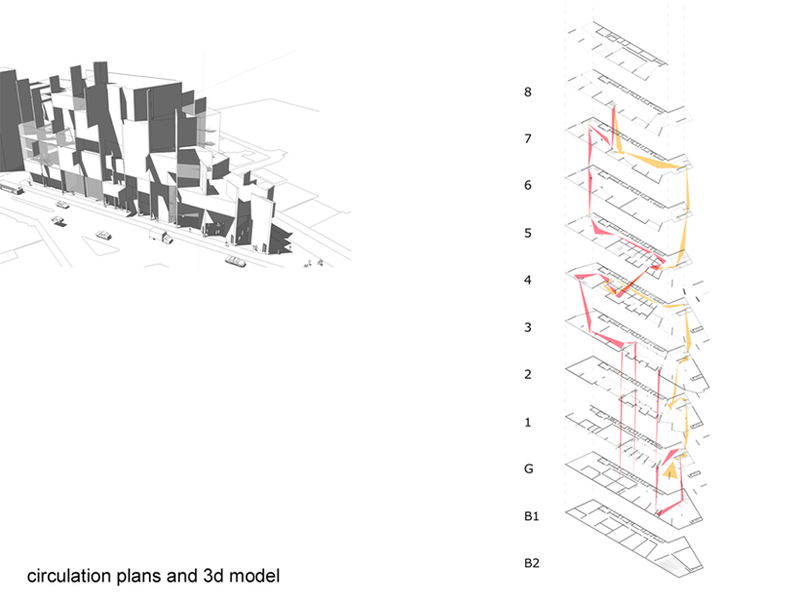 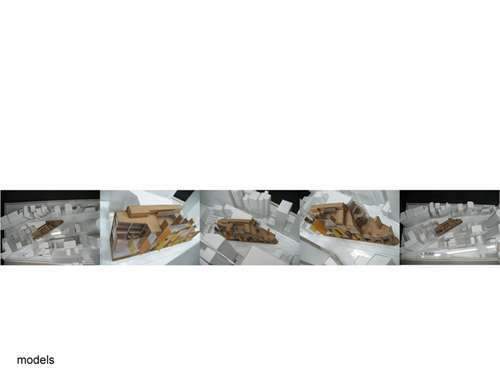 This leads to the development of interesting architectural elements e.g. 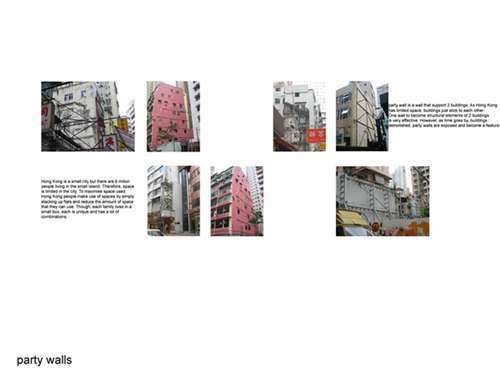 party walls, illegal structures etc. 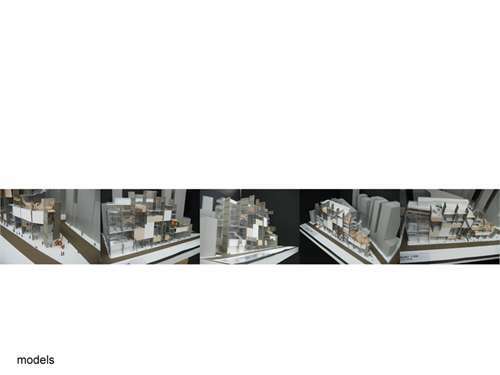 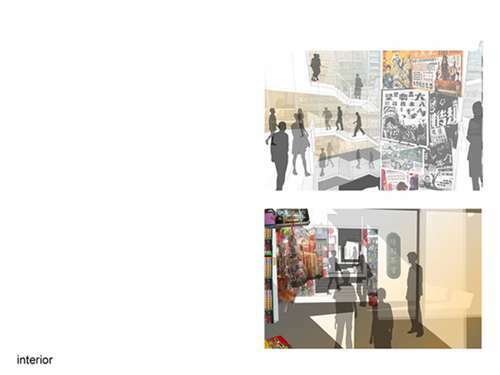 My scheme focuses on party walls which separate such hybrid activities and form a framework of display units in the Museum. 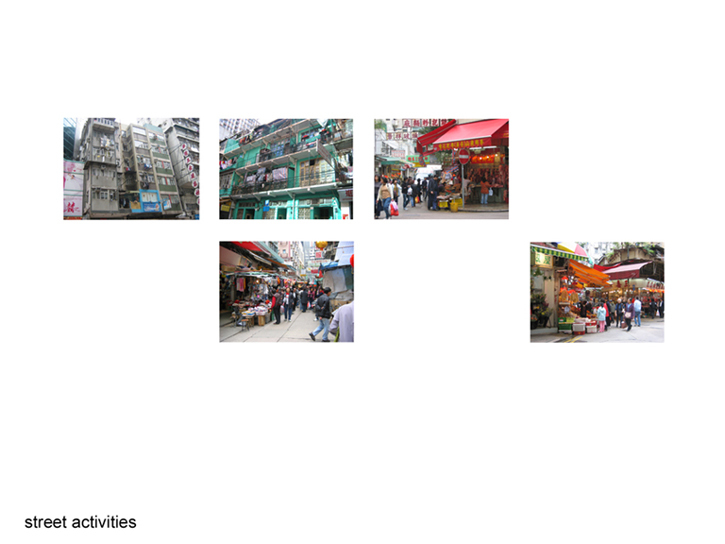 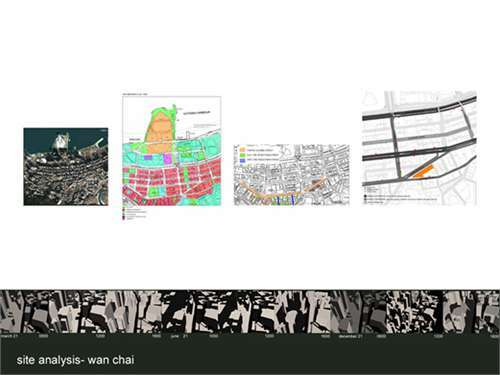 The programme asks for a cultural solution in the complex old urban fabric of Hong Kong. The basic causal element employed by the student is the “party wall” that builds up the tenement houses which are the vernacular building type at the start of the colony. 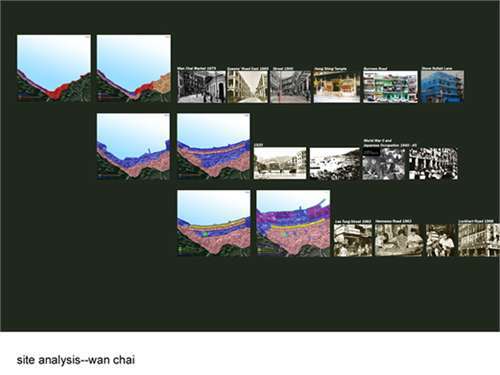 The scale and character of the tenement house was adapted and articulated to create the museum spaces, which is a good intention to serve for the background of local cultural exhibits. 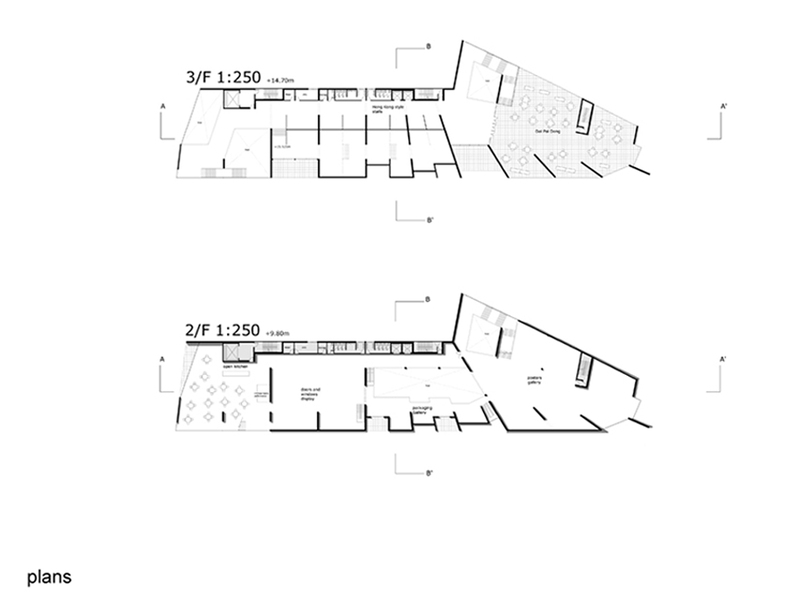 The triangular corner of the site was also skillfully addressed by the student, again using the “party wall” configuration. The overall result is excellent.